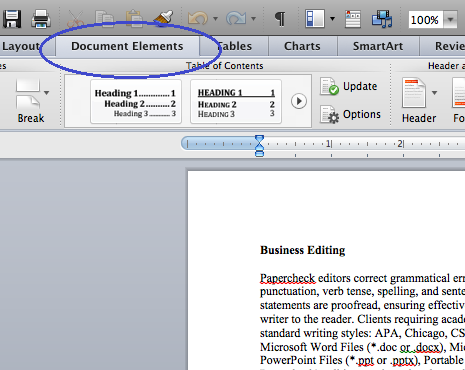 To create a bibliography, open your document and locate the Document Elements tab. 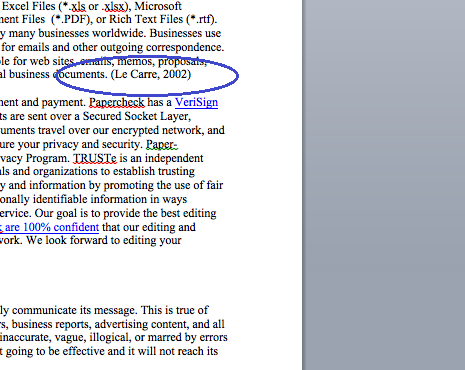 Under the References section, choose your referencing style from the drop-down menu, circled in blue in the screenshot below. 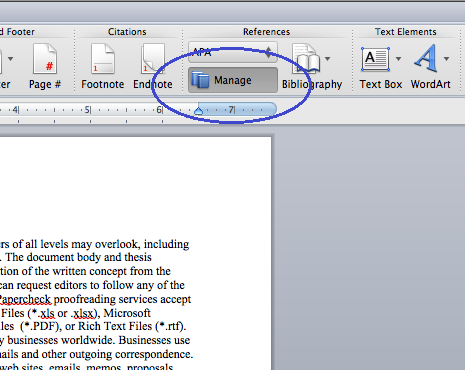 Place your cursor where you would like to enter your first citation and select Manage from the References section. 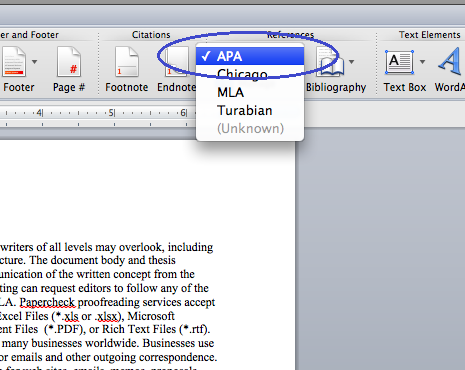 A citation window will appear. Click the + in the bottom left corner. You will see a Create New Source window. 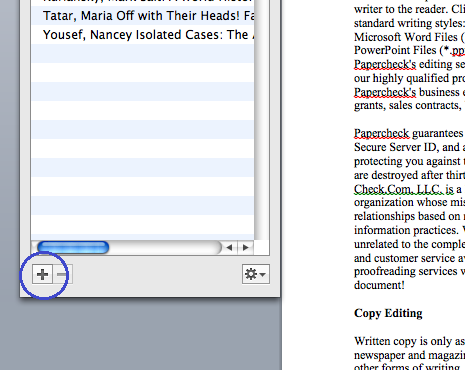 Fill out the source information and click OK.
Notice that a reference has been inserted into the document. Follow Step 4 to enter the remaining citations into the document. 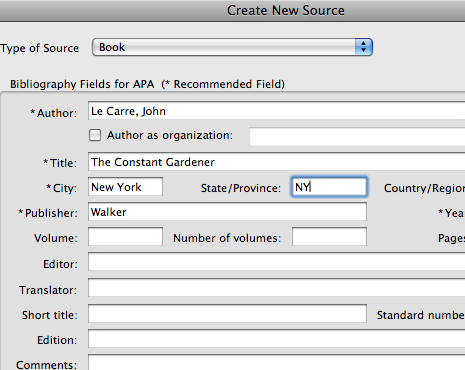 If you would like to cite a source that you have already entered, simply double-click on the source from the list and a citation will be entered into the document. 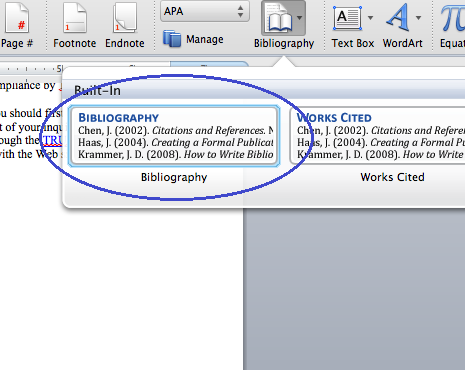 Place your cursor at the end of your document and select Bibliography from the drop-down arrow next to the Bibliography icon. 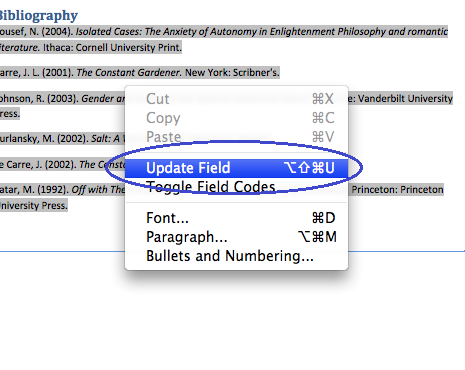 If you wish to update your bibliography after adding more references, right-click anywhere on the bibliography and select Update Field. Papercheck, LLC. All rights reserved. Papercheck® is a registered trademark of Papercheck, LLC.